Our overseas country managers paid us a welcome visit recently for the annual Indaba meeting to focus on strategic planning for 2020 and promote the continued collaboration and communication between all our African operations, and the Bahrain HQ. 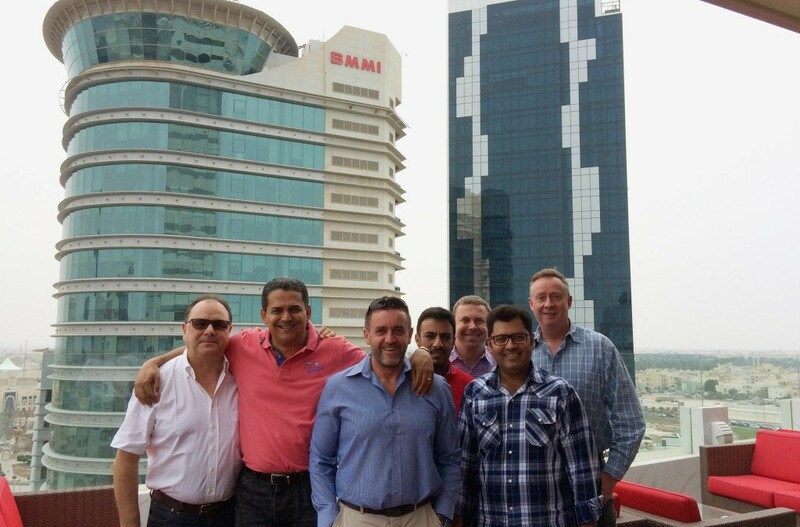 The country managers hopped on a plane to Bahrain for the weeklong session of full day meetings and workshops. All country managers, department heads (including the GSS Bahrain team) and project managers gave insightful presentations. Emphasis was placed on project planning in conjunction with our operations and support services. In addition to sharing what specific departments have been doing in the past year, future plans and aspirations were the integral part of the discussion. Our country managers were able to learn more about themselves and their strengths and weaknesses in particular. The training will hopefully enable them to be more productive in their work and recognise where improvements need to be made, or where they should remain the same. This allowed the managers to form a closer bond with one another by opening up trust and clearing up perceptions, which will positively transcend across all the GSS Africa teams! The LIFO session was led by our very own Shilpa Ajit and Mohammed Al Ameer. CS&S HR Manager, Greg White expressed his gratitude towards the two thanking all those who participated as well as contributed. Commercial Manager, Rishi Sevak, was also very grateful. “I would like to thank them both for allowing us all to analyse one another in a very constructive manner. LIFO has been very beneficial and will allow us to communicate better with each other,” said Rishi. Rahil Shaikh also shared his gratitude. “It sure was a very enthusiastic INDABA & LIFO session, where most of us met for the very first time. This is the beginning of an all new collaboration. I am looking forward to work development relationships, he said. “Of course, the red sticker will be remembered for a long time in our lives,” he continued. Djibouti Country Manager, David Hanse agreed that it was a fantastic week to get to know his colleagues. “It has been a pleasure to share this week with you. I feel that we are always strengthening our partnership and interaction capacity during these weeks, it will help to make GSS operations successful. The LIFO session was an excellent opportunity to learn how to interact as well as debate openly about our strength and weaknesses. I’m sure 2016 will be an excellent year and I hope to see them all again soon. During their hectic week, our country mangers had the opportunity to take a break from their busy schedules and headed mid week to La Vinoteca Barcelona for an evening of socialising to relax and unwind.